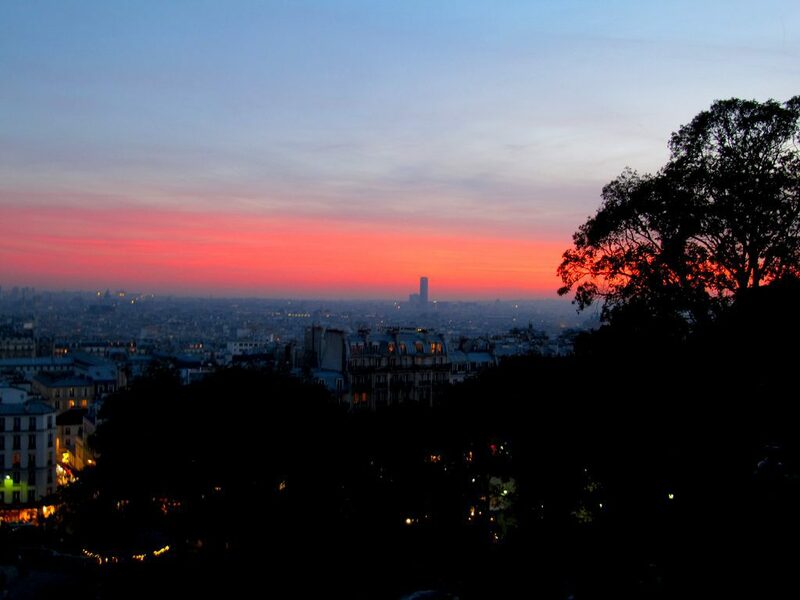 Most locals recognize Paris in September as the true new year. Following a long summer hiatus, residents return home from vacation and get back to work. This is the season of turbo-charged ideas and irrepressible energy, and you can almost feel it in the air. Many tourists choose spring and summer to explore the capital, but anyone hoping to get in on the action should consider going in the early fall. 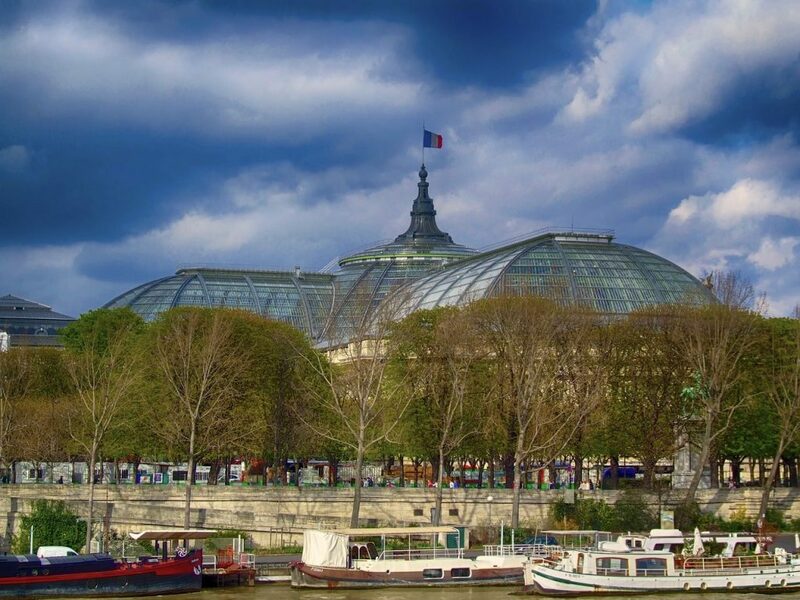 Known as la rentrée (back to school/work), this one of the best times to mingle with locals and take part in the year’s most-anticipated cultural events– from exhibits to fairs. Since the weather is still generally on the mild side, you’ll still be able to spend long hours outdoors. Meander through the quaint backstreets of Montmartre or hop on a train for a day trip from Paris: it’s still technically summer until the end of the month. Keep reading for my full advice on how to fully enjoy your September visit in the city, and to consider the pros and cons of choosing this time of year. You’ll also find advice on how to properly pack your suitcase, info on typical weather conditions and a few picks for exhibits and events in 2018. As already mentioned, this is an exciting and stimulating time to be in town. Some of the year’s best exhibits, including inaugural shows at new venues, open to rapt crowds. Many locals are refreshed and at their energetic best after the summer holidays (unless, of course, they’re grouchy about getting back to the grind. You’ll likely feel that vibe as well). 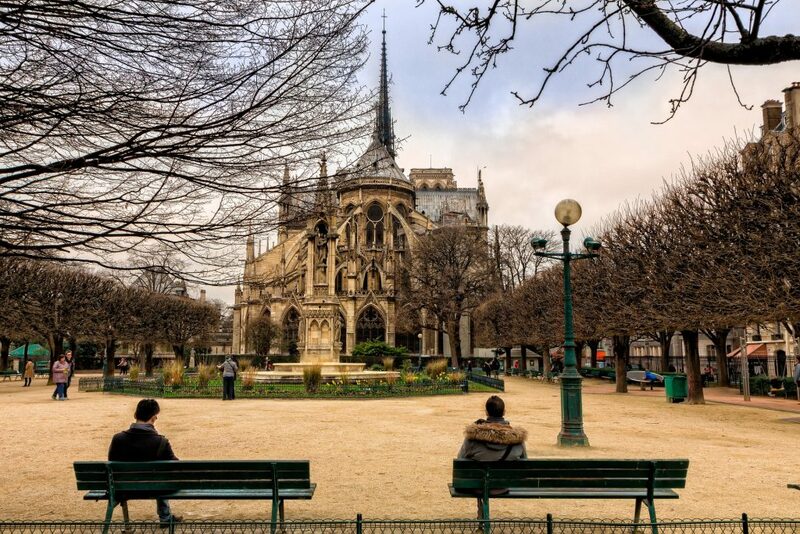 Mild temperatures make it a pleasant time to stroll for hours around the city’s most photogenic places (as well as odd, relatively unchartered corners). Early September is still warm enough for picnics and day trips (more on that below). And now, a couple of downsides…. But every month has its downsides as well. It’s still high season until early October, so plane and train tickets will continue to be a drain on your budget. For that reasons, it’s important to start comparing travel packages early. Booking months in advance is advised. To get started, you can compare deals on flights and hotels over at Skyscanner, or reserve train tickets and passes at Rail Europe. Another potential negative point is that conditions can still be remarkably crowded in September– or perhaps even more so than in July and August. Why? The summer season hasn’t quite wound down, yet locals flooding back into town means more cramped conditions in streets, restaurants, the metro etc. If you’re seeking true quiet and personal space, in other words, you may wish to visit in late October or November. Winter in Paris is also far more relaxed. Temperatures in September have historically tended to be mild, although heat waves in recent years have become more frequent. Plan for cool to very warm weather by bringing along layers (more below). Rainfall is less persistent than in the very wet months of may through July, but you can generally expect at least a few days of rain. The occasional late summer storm is also not uncommon, so be prepared. How to Pack For Your September Trip? Because temperatures can fluctuate between brisk to quite warm, it’s a good idea to bring clothing you can layer. Pack a couple of pairs of long-sleeved shirts and trousers alongside warmer-weather tees and even skirts or shorts. Don’t forget decent raingear for wet and cool days: a good waterproof jacket and shoes that won’t let water seep in if you have to traipse through a few puddles here and there. Even though temps are generally milder in September, the sun can still be fierce. Pack a moderate-SPF sunscreen to apply even on overcast or cloudy days. Best Things to See and Do in September? October is technically when the arts and culture calendar really revs up, but there are plenty of stimulating things to see and do in early fall, too. Below are just a few highlights I suggest you focus on. I also recommend consulting this page at the tourist office for a more extensive calendar of events. 1. Have a late-summer, aimless stroll or tranquil picnic. This is still prime season for long walks and lazy picnics. 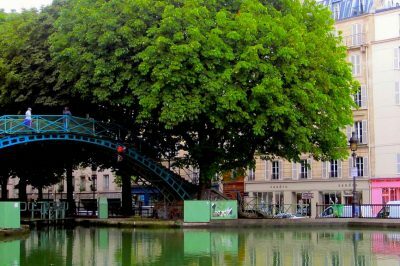 Explore some of the lesser-known corners of the city, from the village-like Butte aux Cailles neighborhood to the area along the Canal de l’Ourcq. Let yourself indulge in the wanderings of a true flaneur— a city wanderer with no particular aim. I also recommend sprawling out somewhere green for a late summer picnic. 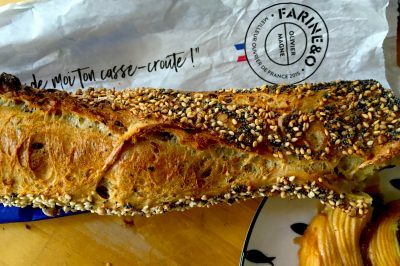 Stock up on delicious fixings from a good local bakery, or check out my guide to some of the best street food and fast food in Paris for suggestions on portable picnic fare. 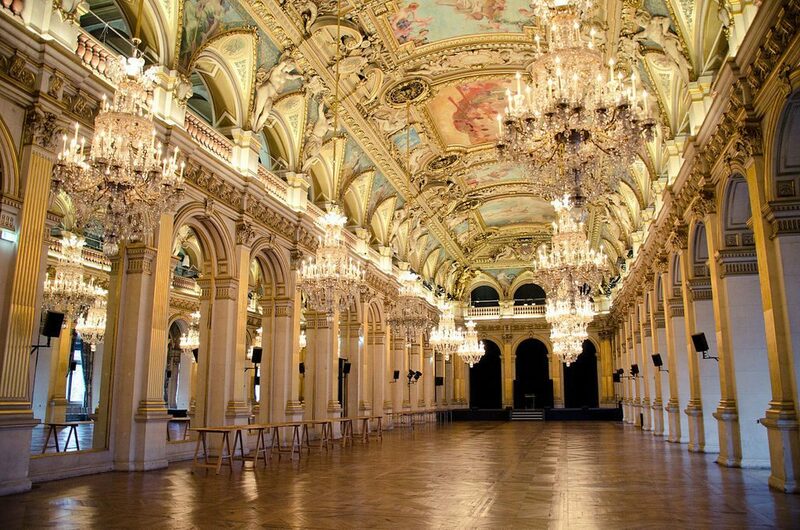 Ever wonder what the secret interior corridors of Paris City Hall (pictured above) look like? Or those of the Palais de Justice and the National Assembly? If so, take a peek inside these and other opulent places in the city during the free European Heritage Days event. In 2018, this free event open to all ages runs over the weekend of September 15th-16th. 3. Go a bit further afield to snag the last days of summer. 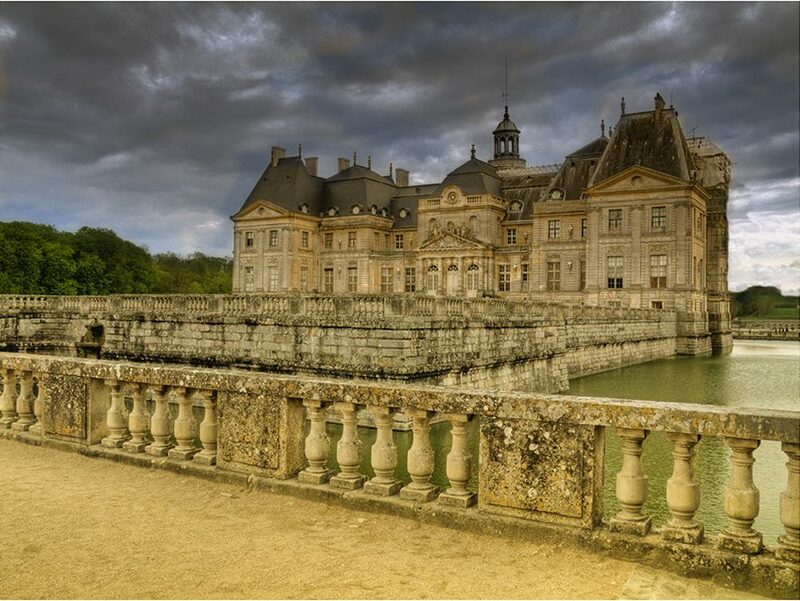 Chateau Vaux-le-Viconte doesn’t get even a sliver of the press Versailles does– but it’s arguably more intriguing. Image: @lain G/ Some rights reserved under the Creative Commons license. With summer fast on the wane, you’ll likely want to take advantage of the daylight and warm temperatures for a good day trip or two. Luckily, several worthwhile destinations are only a train ride away. Go roam around at the elegant Chateau Vaux-le-Vicompte, walking through its lovely gardens and exploring the palace’s nooks and crannies. At the Palais de Versailles, meanwhile, the “Musical Waters” event combines musical performances with elaborate light and water shows overlooking the gardens and fountains. This is a very pleasant way to see off the waning summer, needless to say…. 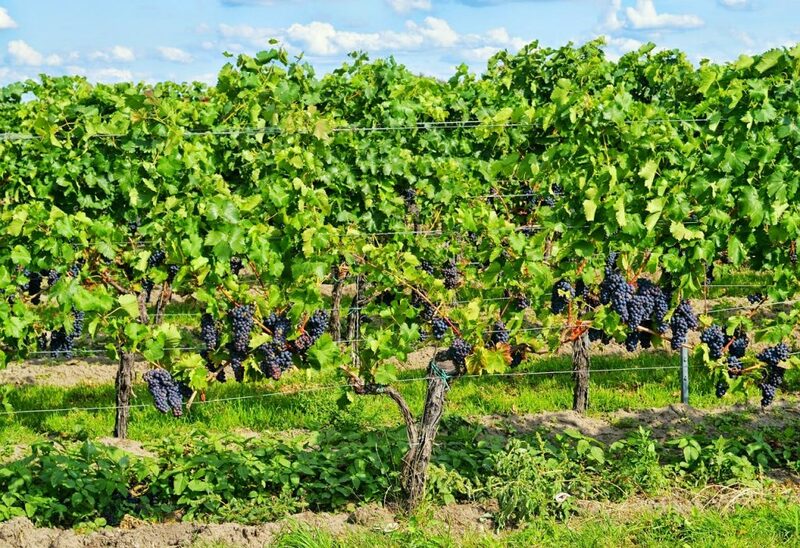 A slightly more decadent idea: Why not go spend a day wine tasting in Champagne or Burgundy and take in some of the harvest celebrations there? Trains leave daily from Paris and you can get to the towns of Reims or Beaune in just a couple of hours. You can search for and book trains here. For a full list of ideas, see my complete guide to the best day trips over at TripSavvy. 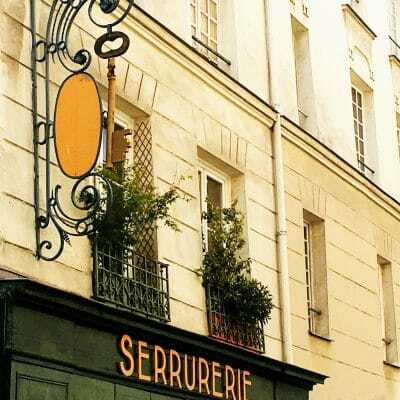 There are usually a few noteworthy shows around town at “la rentrée“. See this page for a fairly full list; my suggestions are below. I recently visited this mesmerizing inaugural exhibit at the Atelier des Lumières, a new arts and culture center in close reach of Père-Lachaise Cemetery. 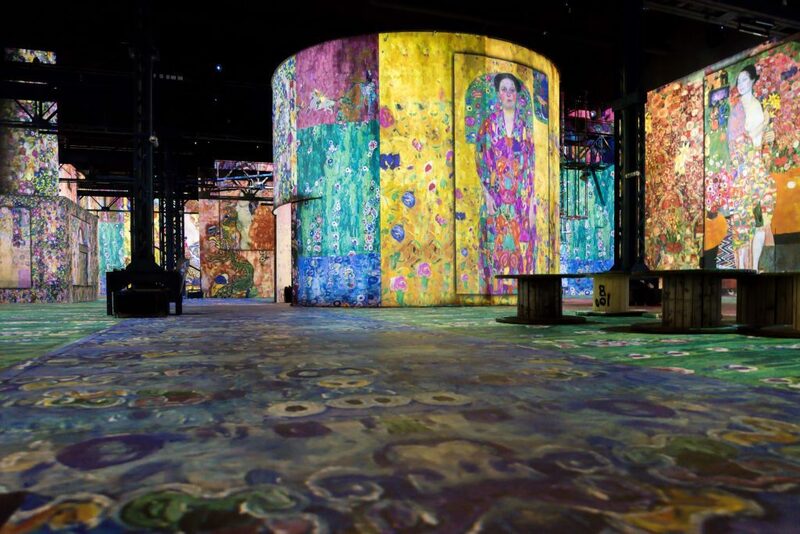 It was a fully immersive and hypnotic experience, bringing to life the work and influences of Gustav Klimt and other artists of the Vienna Secession movement. The show melds elaborate, sumptuously colorful digital animation and music to plunge you into the aesthetic world of Klimt, Schiele and their predecessors. It’s more of a multimedia performance than an exhibit: you’re encouraged to find a seat on the ground somewhere and let it all unfold before your eyes. I was initially a bit skeptical, but the designers and curators have pulled off a digital, ephemeral experience that is nonetheless sensual and enchanting. This inaugural show at the Atelier des Lumières runs through November 11th, 2018. To buy tickets online in advance (something I strongly recommended since lines have been long), see this page. 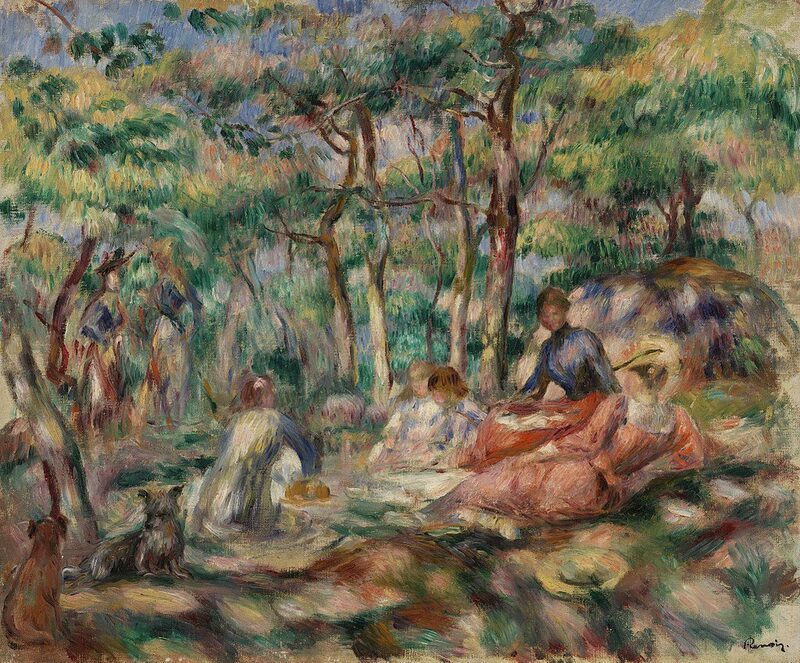 The Petit Palais, working in tandem with the Tate in London, has curated a remarkable exhibit on French Impressionists who spent a significant time in London during the late 19th and early 20th centuries. Claude Monet, Houses of Parliament Series (London), around 1904. The show brings together emblematic works from Impressionist painters including Pissaro, Monet, Sisley, Legros and Tissot. Sculptures from the likes of Auguste Rodin also feature in the exhibit, which underlines enduring ties between the UK and France even as the former is pulling away from Europe. 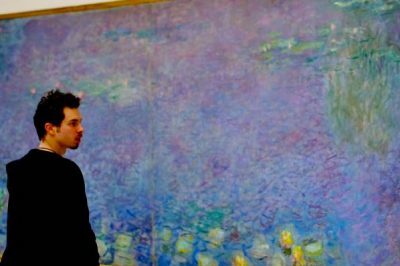 The show at the Petit Palais runs through October 14th, 2018. Ready to Take the Plunge and Book Your Trip? Congratulations. But before you do, make sure you consider a decent travel insurance policy. As I detail in my piece on staying safe and healthy in Paris, travel insurance takes away some of the anxiety of wondering how much you’ll have to pay in case you have an accident or require medical treatment while abroad. Travel Nomads is a trusted company that offers numerous policies, many at very reasonable prices. You can compare and purchase travel insurance policies here. *Disclaimer: This post contains some affiliate links. If you book products or services though these, it comes at no cost to you, but will fund more free, in-depth features and travel tips at Paris Unlocked. Thank you! 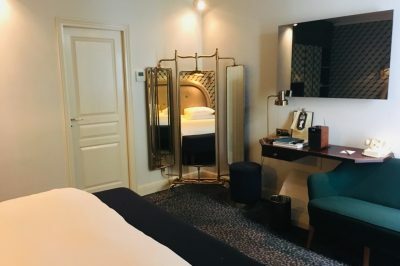 Visiting Paris in March: How to Make The Most of It? ©2018/2019 Courtney Traub/Paris Unlocked. All rights (including photos) strictly reserved.